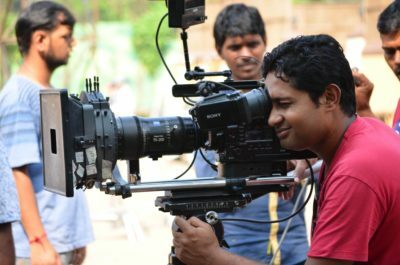 A film studies graduate from St. Xaviers, Kolkata, Soumik Mukherjee went to the Film & Television Institute of India, Pune to specialize in cinematography. 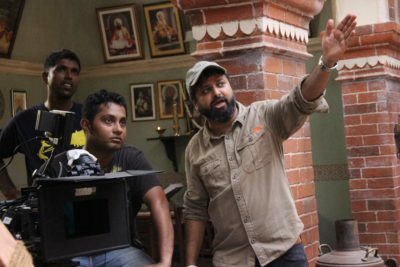 He started assisting DoPs on films like “Ship of Theseus”, while in the institute. 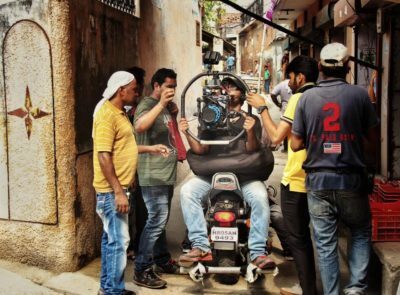 After passing out of FTII, he furthered his craft by becoming the associate cinematographer on a number of hindi films, viz., “Dedh Ishqiya”, “Katti Batti”, etc. This was when he got associated with Nikkhil Advani and was offered to shoot the finite series on Star Plus, “POW – Bandi Yuddh Ke”. 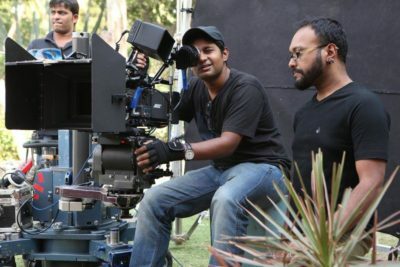 He has also shot a number of award winning short films and TVCs. Soumik shot an independent feature film that premiered in MAMI this year called “Maroon”. Like most average middle class child in India, I watched a fair share of movies in my childhood. But luckily my parents, especially my mother made me watch the classics. Along with the mainstream english, hindi and bengali films I also grew up on Shyam Benegal, Mrinal Sen, Satyajit Ray, Tapan Sinha, etc. In my Mass Communication course in college, we had a paper on ‘Camera & Lighting’. I was very fascinated with camera movements and lighting. I found it more challenging than any the other aspect of filmmaking that was taught to us in college. Also during college I had started working as a part time assistant director in an AD production house, where I learned the basics of filmmaking. Since I was an AD, I was not allowed to touch the cameras during these shoots; which in turn increased my curiosity about it. I was introduced to videography before I was introduced to photography. I had borrowed my uncle’s Pentax K1000 towards the end of college to practise photography. 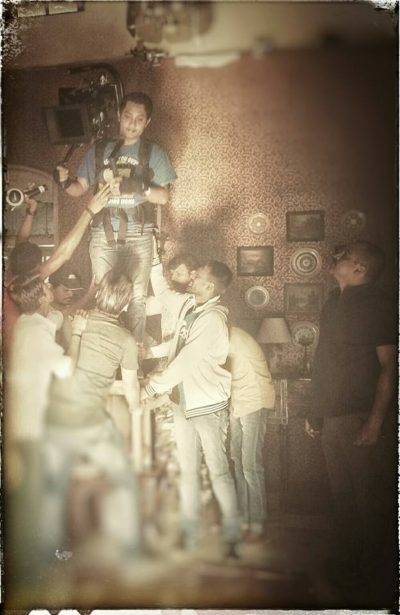 After college and learning the filmmaking basics on shoots my training in cinematography actually started in FTII. I read as many books on photography and cinematography possible from the library and started taking a lot of photographs on film camera. Ever since my college days I had watched a lot of international cinema which became even more of a ritual once I joined the Institute. Since then it has been a constant process of learning and unlearning every day. I have worked with many DoPs since I graduated from the Institute, viz., Pankaj Kumar, Neha Parti, Setu, Rafey Mehmood, Tushar Kanti Ray. I personally think that assisting after the Institute helps in familiarising oneself with the industry working styles and practises. You get to work on a much bigger scale, with the latest equipments; which in turn gives you the confidence when you start shooting on your own. Most importantly, it helps you in making connections with people. The director had seen my work in a couple of short films and also an editor friend had recommended me to him. An interesting storyline is the first and foremost consideration. Also obviously the visual possibilities of the script. I believe it is both. You have to learn the basics and then be intuitive enough to break the rules too if necessary. But practising the craft is a must. Tell us something about your latest film. I shot this indie film called ‘Maroon’ directed by Pulkit. It is a psychological thriller shot in a bunglow in lonavla in 15 days with Manav Kaul in the lead. Well, there is no fixed thing…it can be anything from a film to a photograph or a painting or even a piece of music. Sometimes I even do what I like to call reverse referencing, ie, what I don’t want to do. Right now I’m shooting Nikkhil Advani’s ‘Prisoners Of War – Bandi Yuddh Ke’ which is a finite episode series on Star Plus. I believe that the beauty of this profession is that you can have a new dream almost every day. So I try and make every project I get into the dream project. I literally have dreams about the project I’m working on every other night. Not exactly a blunder but a very challenging lighting situation that I remember was back from one of the Institute projects; where we were shooting on black & white stock and the actress was wearing a black burkha in a sewing machine factory at night and the power had to go off on shot. Funnily I was the gaffer on that shoot, but I have never been more tensed before seeing the dailies of any project since. Read as much as you can, watch as many films as you can and work on as many projects as possible. You end up learning something or the other from them. And learn to observe. Unfortunately, I don’t get the time to read these days other than couple of cinematography blogs online. Currently I’m watching the series ‘Black Mirror’, whenever I find sometime.